Are you looking for cost effective services for accurate compiling and tracking of greenhouse gas (GHG) emissions of your facilities, we can help you with our highly flexible and tailored to your needs approach. We can facilitate accurate compiling and tracking of GHG emissions meeting the Ontario GHG Quantification, Reporting and Verification Regulation O.Reg. 143/16, Environmental Canada GHG Reporting Rule, US EPA GHG Reporting Program (GHGRP) and The Climate Registry (TCR) protocol for Scope 1 and Scope 2 GHG emissions. 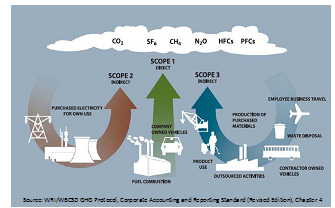 We can assist with defining GHG boundaries, compiling GHG source inventory, performing GHG emission calculations, for sources exceeding 10,000 or/and 25,000 metric tons thresholds, and selecting the best baseline year for GHG emission cap. If you are pleased with the quality, technical capability and cost effectiveness of our GHG inventory services, we can offer you our next level of services of developing your company specific comprehensive internet based GHG management information system (GHG-MIS) on a highly robust, flexible and reputable software-as-a-Service (SaaS) platform. This will alleviate the burden of collecting data and compiling GHG every year on hundreds of Excel spread sheets which are difficult to maintain and that can break. With GHG-MIS while data is entered and automatically loaded at different facilities located in numerous states, Provinces and countries, the internet based GHG-MIS accurately compiles and tracks all GHG emissions centrally and generating customized reports in regulatory reporting formats conforming to different reporting protocols such the Canadian Federal and Provincial reporting, US EPA eGGRT reporting, TCR, CDP, etc. We can take you a step further in your GHG emission reduction goals by developing and investing in carbon offset projects such as Coal Mine Methane, Forest, Grassland, Urban Forest, Renewable Solar and Wind Power, Live Stock, Nitrogen Management, Organic Waste Composting, Organic Waste Digestion (Biodigester CHP), Nitric Acid Production, and Ozone Depleting Substances within Western Climate Initiative (WCI) provinces in Canada and states in USA. We have extensive experience in GHG management, GHG-MIS and renewable project development. Our low work-hour rate and maximize use of electronic media make us of the most cost-effective GHG accounting services provider, renewable energy and carbon offset project developers. One of the regulation under the “Climate Change Mitigation and Low-carbon Economy Act, 2016” is regulation O. Reg. 143/162 (Quantification, Reporting and Verification of Greenhouse Gas Emissions). This requires all mandatory and voluntary entities participating in Ontario Cap and Trade regulation (O. Reg. 144/161) must verify their GHG emissions by CSC certified third party GHG certifier companies. 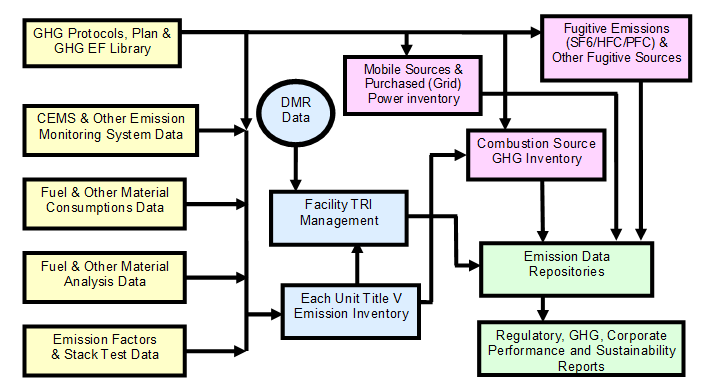 At Polar Design Studio, we have extensive experience of developing GHG management program including internet based GHG system designed and built as a customized GHG EMIS tool which meets your needs and compiles, maintains and tracks GHG emissions of hundreds of facilities across the nation and globally. This highly powerful and flexible internet based GHG Environmental Management Information System (GHG EMIS) for your facilities will save hundreds of work-hours every year and provide consistent data that comply with O. Reg. 143/162 GHG reporting regulation. Your GHG EMIS will provide all GHG data and relevant documents in one system to facilitate easy verification of your annual GHG emissions. 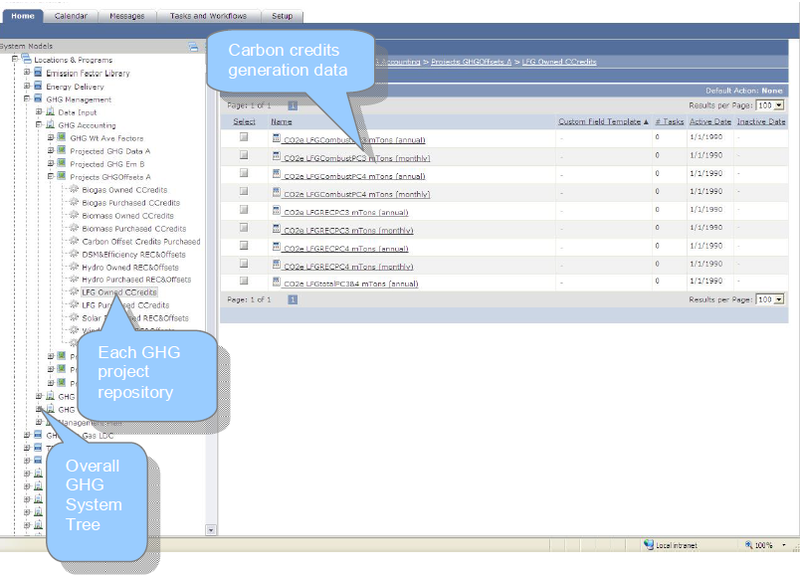 It will also track GHG reductions of your carbon offset projects for facilitating validation by third-party validators.